IEF-Werner presents the updated domiLINE unit, which is based on a sophisticated modular system. 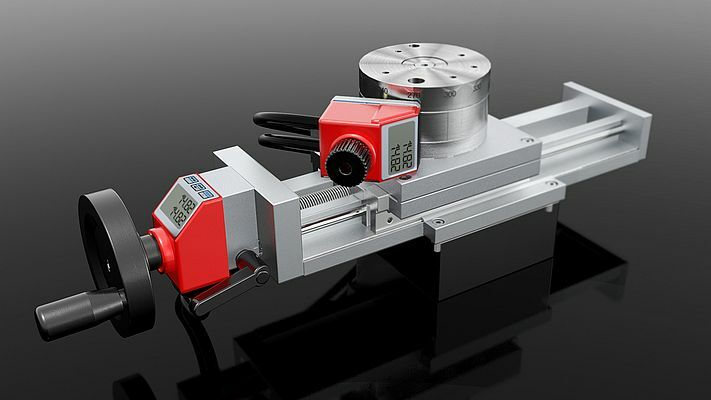 The spindle driven components make use of their advantages especially for frequent fine-tuning. A bus interface supports the increasingly frequent converting or reconfiguration works. It simplifies working with commonly changing settings by saving the position values. This increases the user comfort and the process security equally. Frequently requested applications are hereby the adjusting of measuring cameras, focusing of burner nozzles or proceeding of sensors. To deal with different situations, there available slide widths are 30, 50, 80 and 120 millimetres. The exact adjustment is conducted with an adjusting knob, which is provided with a 0.05 millimetre scale. The user may position the slide manually and fixate it with a clamping lever.